Six schools across The Bahamas will highlight their talent, creativity and scientific genius when they display the robots they have built to improve the lives of the elderly. Students from Thelma Gibson Primary; Walter Parker Primary, (Grand Bahama); NGM Major High School, (Long Island); CH Reeves Junior High; Genesis Academy and St. Andrews School are competing in the FIRST® LEGO® League tournament. This is a Qualifier Tournament and this year’s theme is “Senior Solutions”. The tournament will be held on Saturday, Dec. 15 at the British Colonia Hilton. 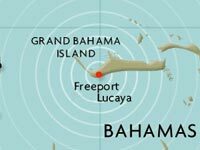 Bahamian students are competing for a chance to advance to the FIRST LEGO League State Championship in Orlando, Florida. Each year, there are approximately 200,000 students (world-wide) participating in FLL® including Puerto Rico and Haiti, however this will be the first time the tournament will be held in The Bahamas. Bringing this tournament to The Bahamas was the idea of Laurena Finlayson, an educator and also Business Manager of MDR. Finlayson, is the local representative for FLL®, and is also a certified facilitator in the LEGO® Serious Play® methodology. She saw the positive effects of FIRST® LEGO® League at the LEGO® Ideas conference she attended in Denmark. FIRST® LEGO® League is a hands-on science, technology, engineering and math enrichment program that combines robotics with a research project that encourages scientific literacy. FIRST® stands for Inspiration and Recognition of Science and Technology and many of the students who have gone through this program since it began 14 years ago have found careers in scientific fields of study. 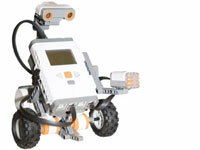 Students, using “hand-knowledge” design, build, test and program robots using LEGO® MINDSTORMS® technology to go through a LEGO® obstacle course designed to highlight and find solutions for real life challenges. Each team has spent the last two months building and programming their robots which, to overcome concepts from gerontology including, making it easier to walk, lift, carry, and move objects. Sponsors for the FIRST® LEGO® league include The Rotary Clubs of Nassau, BTC, BEC, Campbell Shipping Co. Ltd., Commonwealth Bank, Custom Computers, Sun Oil Bahamas Ltd. and Atlantis.